KITENDE – Vipers escaped a potential banana skin, defeating Kiboga Young 1-0 at the St. Mary’s Stadium on Saturday evening. In one of the three Uganda Cup matches played on Saturday, it was substitute Abraham Ndugwa who stole the headlines with a classy finish 9 minutes from time. In a first half that saw limited clear-cut chances created by both side, Dan Sserunkuma missed a sitter as he failed to convert from an open goal. He was, 7 m8nutes into the second, replaced by Tito Okello as Vipers pressed to find a much needed break through. It was more about changes for the home side as Ndugwa and Joseph Janjali replaced Karim Niyigizimana and Deigo Hamis Kizza later on in the half. All three changes were meant to add fire power upfront for the home side and would later have a telling impact. With 9 minutes of the clock, Okello set up Ndugwa who lofted the ball over Kiboga goalkeeper Sharif and into the back of the net to send the few Vipers fans in attendance into wild jubilation. It was the former Maroons’s Captain’s third goal of the competition after striking twice in the Round of 32 elimination of Kansai Plascon last month. Martin Sseruwagi, a bow-legged entity who graduated from the famous Kampala Kids League (KKL) programme was a thorn in the foot of Vipers for long spells of the game but could not spur the Big League outfit to a famous upset of the three time winners. 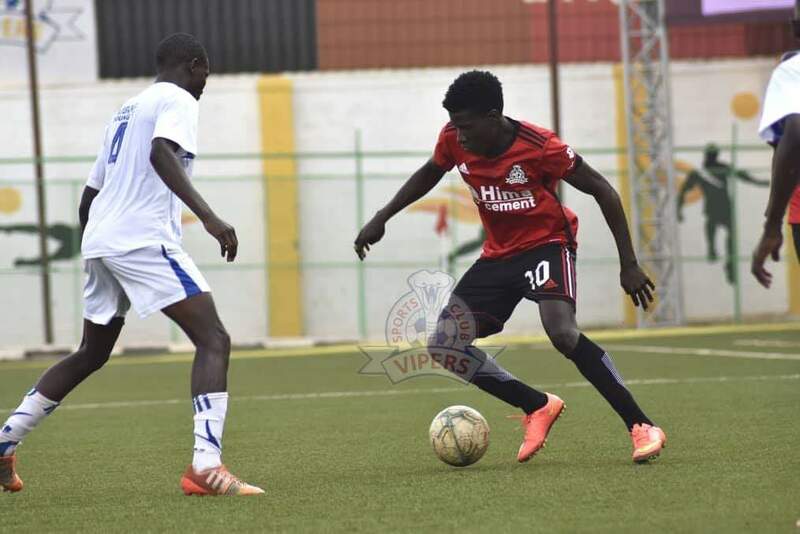 The slender victory see Vipers reach the quarter finals of the competition and move to within three victories of winning a first Uganda Cup since 2016. On the same day, BUL humbled Bukedea Town Council 4-1 at the FUFA Technical Center and Nebbi Central ejected surprise package Nkambi Coffee 1-0 in Nebbi. The Uganda Cup round of 16 matches continue on Sunday when Kitara hosts Kyetume at the Kigaya play-ground. A new champion awaits to be crowned in May after last year’s winners KCCA FC were eliminated by Tooro United in the last 32 round. -BUL FC 4-1 Bukedea town Council FC. -Wakiso Giants (4) 0-0 (2) Tooro United.